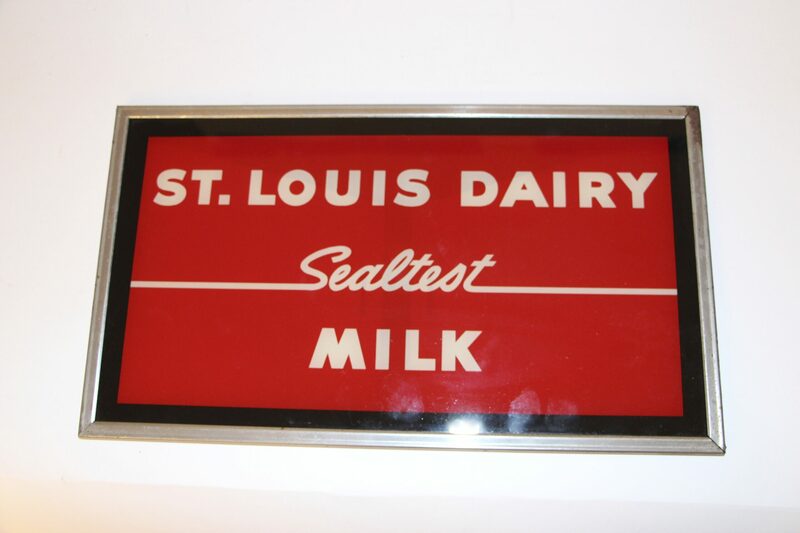 This is a Reverse-on-Glass (ROG) Shadow Box from Sealtest Dairy manufactured in Saint Louis, MO, circa 1940. 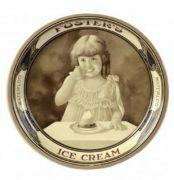 Sealtest Dairy became a fairly large regional brand and was known for their milk, ice cream products, cream and lemonade. 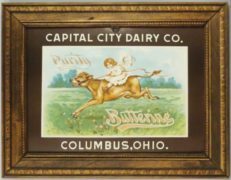 This particular shadow box was designed to be lighted with a bulb behind it for illumination. 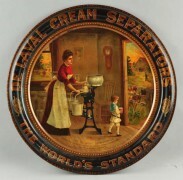 This Sealtest Dairy glass shadow box is difficult to find today. The Sealtest brand was very strong in the Midwest and the East Coast, with major hubs in Memphis, Chicago Milwaukee and Philadelphia. 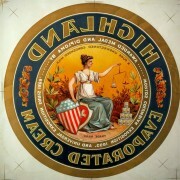 The “Reverse-on-Glass” (ROG) process used in this shadow box incorporated putting advertising on the backside of glass. The ROG items are considered hard to find and valuable due to the breakage of glass over the years. The paint could peel off of the backside of the glass due to moisture, heat, and many other factors. 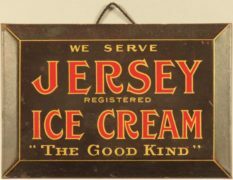 Many pre-prohibition signs were ROG’s but the process was still popular in the 1930’s-1950s.